Andrew played lacrosse at Randolph Macon College as a defender. He was an elementary and middle school teacher for 17 years. He has coached for Geronimo since 1996. Andrew serves as a Level 1, 2 and 3 US Lacrosse Coaches Development Trainer, a Coach for Fusion Lacrosse and is the Head Varsity Lacrosse coach and an Associate Athletic Director at Collegiate School. Andrew played lacrosse at Guilford College as a goaltender. He coached 6 years of college lacrosse at Williams College, Wellesley College and Merrimack College as well as 4 years of high school lacrosse at Middlesex School. 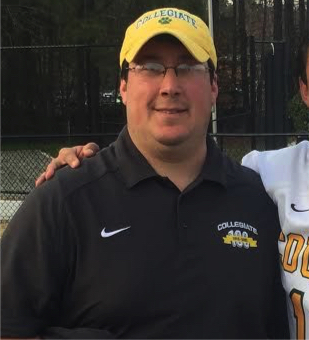 Andrew has coached with Geronimo for 4 years and currently serves as an assistant Varsity Lacrosse coach and the Assistant Athletic Director at Collegiate School. Heather played lacrosse at University of Richmond. She was the Head Varsity Lacrosse coach at Collegiate School for 3 years. Heather has coached with Geronimo for 9 years. Suzanne played lacrosse at Colby College as a midfielder. She was the Head Varsity Lacrosse coach at Hopkins School for 3 year as well as at Collegiate School for 3 years. Suzanne has coached with Geronimo for 4 years. 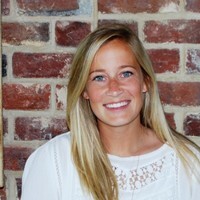 Libby played lacrosse at Virgina Tech as a midfielder. Was the head JV Lacrosse and Field hockey coach at Collegiate School for 4 years. Libby has coached with geronimo for 6 years.